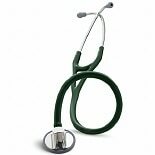 If you're listening in order to detect irregularities or problems in the heart, you want a cardiology stethoscope that is highly functional as well as comfortable to use 00 for both you and the patient. 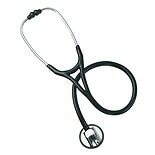 Some stethoscopes for the heart use rubber and a special tube design to minimize excess noise. Tunable diaphragms can allow you to hear both high and low frequencies without having to flip the chestpiece over. For patient comfort, there are "no-chill" chestpieces. 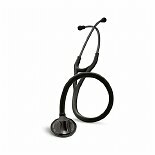 For your comfort, some models of stethoscopes have angled, anatomically correct headsets and acoustic seal ear tips. You can find other supplies for medical professionals here, including lab coats and scrubs. 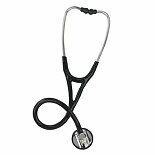 Our range of diagnostic tools and medical equipment also includes electronic blood pressure monitors, sphygmomanometers and thermometers. 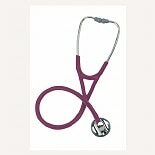 If you are a caregiver, shop our selection of home health care products that can help ease your job. From basic cleansing to wound care, there are cleaners in convenient wipe form and those that require no rinsing. Home medical equipment even features products like bed rails to ensure safety and peace of mind. Our home medical area includes mobility aids, incontinence solutions as well as medical nutrition, hearing assistance and bariatric care.